Mac and the boys are gearing up to hit the road and they’ll be joined by special guests Molly Lewis, Melanie Faye and Donny Benet on select dates. Check out the specifics below! 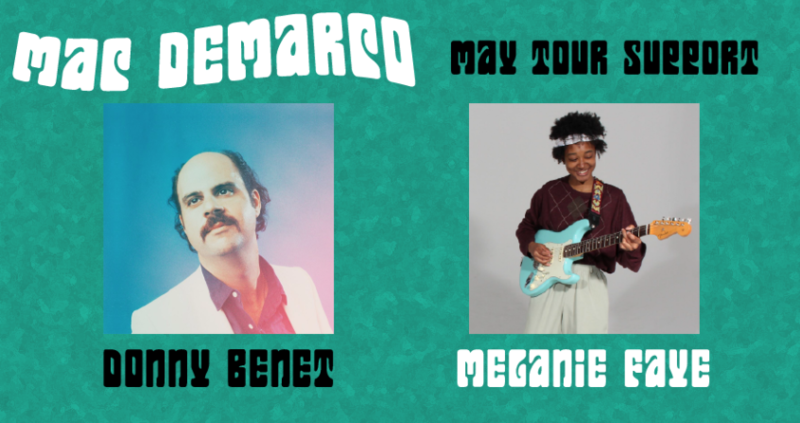 Head over to www.mac-demarco.com/tour/ for a full listing of all of Mac’s upcoming shows! Previous post: Mac DeMarco Shares New Single, “All Of Our Yesterdays” on Beats 1! Next post: Osheaga 2019 Single Day passes on sale now!